Star Clippers has launched new itineraries in the Greek Islands for 2017, cruising on board the four-masted, majestic tall ship `Star Flyer’ beneath billowing sails, enjoying iconic sail-aways to the strains of Vangellis’s `Conquest of Paradise’ and spending long days exploring ashore. A choice of sailings around the northern, or southern, Cyclades islands are available on 12 departure dates from May to the end of August 2017, departing from Athens, and returning 7 nights later. Due to the clipper’s smaller size, compared with conventional cruise ships, Star Flyer can call into smaller islands, or drop anchor offshore to tender guests into small harbours and ports. This makes her the perfect vessel from which to discover the smaller Greek islands within the Cyclades and also provides perfect photo-opportunities, as she is usually the most-headturning ship in port. Sailing through the Southern Cyclades, Star Flyer calls into Rhodes, Santorini and the small island of Hydra. 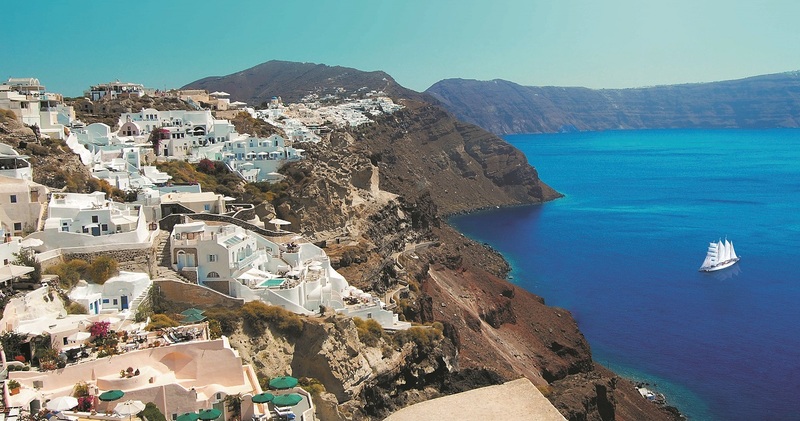 Sailing through the Northern Cyclades, the itinerary includes Patmos, famous for its orthodox churches and spectacular beaches, and the island of Amorgos, famous for its cliff-hanging monastery. Flight inclusive packages are available from £1749pp, based on two sharing a cabin, and including return flights from London, port charges and transfers between airport and ship.